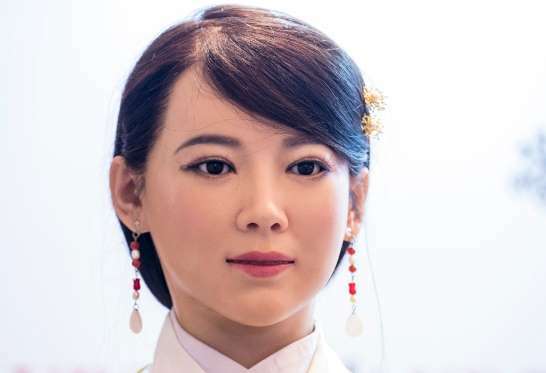 Chinese Humanoid Artificial Intelligence “Jia Jia” can hold a simple conversation and make specific facial expressions when asked, and her creator believes the eerily life-like robot heralds a future of cyborg labour in China. 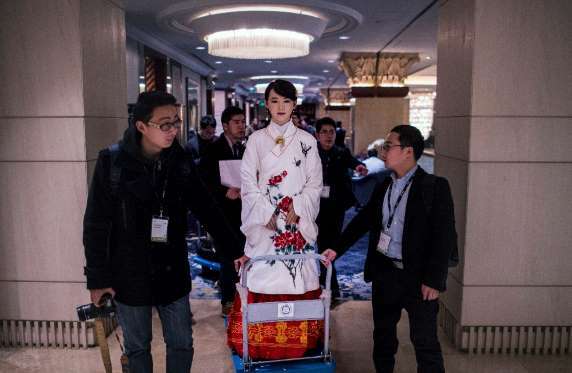 Chen predicted that perhaps within a decade artificially intelligent (AI) robots like Jia Jia will begin performing a range of menial tasks in Chinese restaurants, nursing homes, hospitals and households. “In 5-10 years there will be a lot of applications for robots in China,” Chen said. Still, Chen said his team has made great progress over the past two years in developing her AI. She was able accurately to answer a query about the day’s weather, hold basic conversations and recognise the gender of her questioners. Rapid advancements are being made in artificial intelligence and such products stole the limelight at last week’s Consumer Electronics Show in Las Vegas. One company, Hanson Robotics, unveiled its life-like “Professor Einstein,” which has realistic facial expressions and can engage in informative conversations such as lessons in math and science. Jia Jia is not quite there yet, but Chen sees a bright future for her kind in China. He said growing prosperity was causing many young Chinese to eschew jobs like waitressing, while an ageing population would require more hands on deck in hospitals and nursing homes — even if they aren’t human hands. Chen showed a video of a less life-like, but more functional, robot making and serving tea to team members at his university lab in the eastern province of Anhui. Chen, however, dismissed sci-fi fears of future robots getting too smart for our own good. “As long as this is done in a step-by-step and controlled manner, I don’t think there will be a big impact on society. It won’t harm human beings,” he said. Technology is bringing movies to reality. A humanoid robot like this was used in Agents Of Shield Series.